Automate the branding of all your company documentation with our complete printing strategy, Cobwebb Print. Seamlessly integrating with your existing business software, Cobwebb Print automatically customises and prints all the documents your company sends, doing away with the costly and time-consuming need to change the format of the original print programme. When creating business documents to be sent to your customers and suppliers, such as purchase orders, invoices and statements, it’s often necessary to brand the documentation and show your company image by including a logo and design elements. This requires the original print programme to be changed, which can be time consuming and cost you money. It also risks damage to the consistency of your branding when done on an individual, case-by-case basis. Creating pre-printed stationery is a possible solution, but an expensive one. An easy-to-use system that automates the process of branding your documentation on the fly would save time, eliminate the risk of human error and save on the cost of pre-printed materials. And that’s just what the Cobwebb Print for IBM i (AS/400) module from Cobwebb Communications offers you. Cobwebb Print, a native IBM i product that prints directly from your IBM i software, can automatically customise and print any document you send, without changing the format of the original print programme. Cobwebb Print has full access to the IBM i database, enabling data to be added quickly and simply to existing output. It allows for the use of plain paper laser forms, eliminating the need for pre-printed materials and bringing both significant cost savings and greater flexibility, and can even be set to print files produced in different countries using local character sets. The software module supports a wide variety of print formats, including PCL, SCS, AFP, IPDS and PDF, along with a range of thermal print data streams. Cobwebb Print is the complete IBM i printing tool that allows you to brand your documentation without errors, quickly and conveniently. Compatible with your business software, it allows you to bring your legacy systems up to date without expensive reprogramming. Drop us a line and ask for more details. 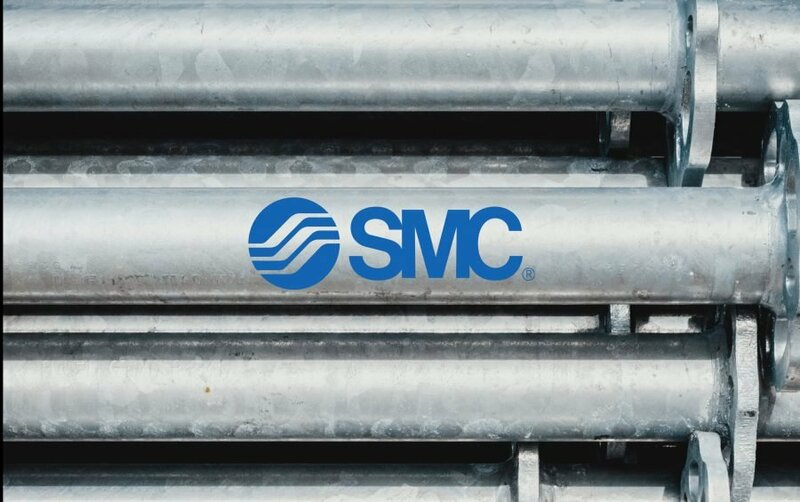 SMC is the world’s largest manufacturer of pneumatic components and associated equipment. With production, research, development, sales and customer support facilities in over 40 countries. Established in Japan, in 1959, SMC has led the way in design, manufacture, innovation and high quality – developed to meet the needs of application throughout the world, and reflecting the close working relationships which SMC builds with its customers, to find the most cost-effective solution. Although many of the global giants’ worldwide divisions use the IBM platform for their business applications, none had attempted to produce these labels via this platform electing instead to use solutions off the IBM i. The project required the development of 14 label formats printing to 4 different print media. The smallest media size (label) being just 9.8 mm x 7.2mm. Item symbols and other technical data made up the content of the labels. Working in conjunction with the SMC IT department in Singapore, Cobwebb Communications developed the labels to the stringent company formats. By utilizing Cobwebb Print and direct IBM i printing, SMC Pneumatics Singapore have developed not only a first for their company but a robust and flexible solution. Cobwebb Print is already an important part of the company’s document management solutions. Having already implemented Cobwebb Email, Cobwebb Fax and Cobwebb Docstore, the sales department has streamlined its business document processes. Four Zebra S4M thermal printers were purchased to print the labels, with TGS World Singapore providing the application/database and spooled file to produce the data for Cobwebb Print to create the ZPL. No graphics or data is stored on the printer allowing for independence from the hardware in case of failure. SMC Singapore uses Infors’ SYSTEM 21 ERP application, with Cobwebb integrating seamlessly at the spooled file level to produce and deliver the document requirements. With the set of labels approved and in production in Singapore and Malaysia, Cobwebb Print has delivered a robust standardized solution for direct thermal printing from the IBM i.